Canadian Centre for Accreditation (CCA). Mental health – and children and youth mental health in particular – represents only a part, and sometimes only a very small part, of the business-interest and customer-base of different accreditors. Funding (from government and charitable foundations). Partnership (e.g. with hospitals or universities). Membership (e.g. in industry-specific or cross-sector associations). Insurance (e.g. business liability; directors and officers liability). Today’s children’s mental health service, therefore, really has no choice about whether to be accredited; indeed, depending on its circumstances, the children’s mental health service may have no choice about by whom it needs to be accredited. When there is a choice, however, the choice should advance the strategic goals of the organization. In Ontario, children’s mental health services have been able to choose to be accredited by any one of the three authorities listed above. Accreditation has cleared the way for children’s mental health centres to access funding from the Ontario Ministry of Children and Youth Services (MCYS) and to gain membership in Children’s Mental Health Ontario (CMHO). To date, most children’s mental health centres have chosen to be accredited by the Canadian Centre for Accreditation – perhaps not surprising, given Children’s Mental Health Ontario’s leading role as a founding partner in the creation of the Canadian Centre for Accreditation. 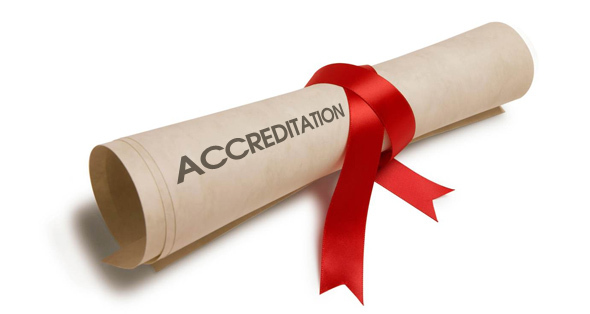 A few organizations – like Youthdale Treatment Centres in Toronto, where I was Vice President of Clinical Services – have chosen instead to be accredited by Accreditation Canada. Our strategic planning involved aligning ourselves with mental health services that are provided by multidisciplinary teams consisting mainly of regulated health practitioners and that are funded substantially by the Ministry of Health and Long Term Care (MOHLTC). Accreditation Canada – which accredits most mental health services provided by hospitals and outpatient clinics nation-wide seemed the best fit. If your organization’s focus is community-based mental health services for children and youth that are provided by teams consisting mainly of unregulated health practitioners and that are funded by the MCYS, then accreditation by the Canadian Centre for Accreditation seems the best fit. If your organization’s focus is community- and hospital-based mental health services for children, youth, and emerging adults that are provided by teams consisting mainly of regulated health practitioners and that are funded by the MCYS and the MOHLTC, then accreditation by Accreditation Canada seems the best fit. With the Ontario government’s recent announcement that responsibility for children and youth mental health services will be transferring from the former Ministry of Children and Youth Services to the Ministry of Health and Long Term Care, it may be an opportune time for children’s mental health service providers to revisit their choice of accreditation authority. The “switching costs” of moving from the Canadian Centre for Accreditation to Accreditation Canada are not negligible, but they are quite manageable – and the benefits for children’s mental health services in Ontario may be far more substantial.